We are pleased to offer you exclusive range of handcrafted reproduction of Brass Nautical Compasses. 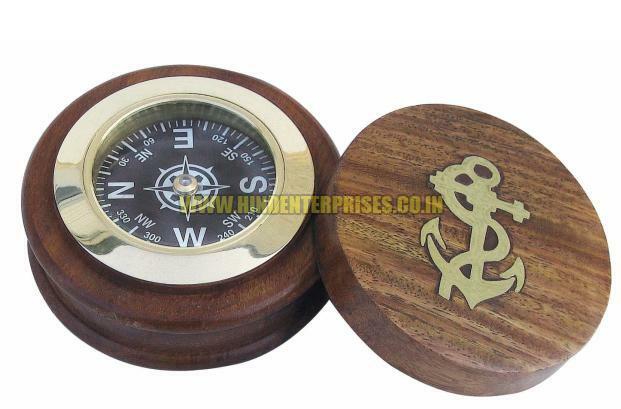 We bring forth various Brass Nautical Compasses, such as directional compasses, sundial compasses, gimbaled compasses and mini compass with key chains. 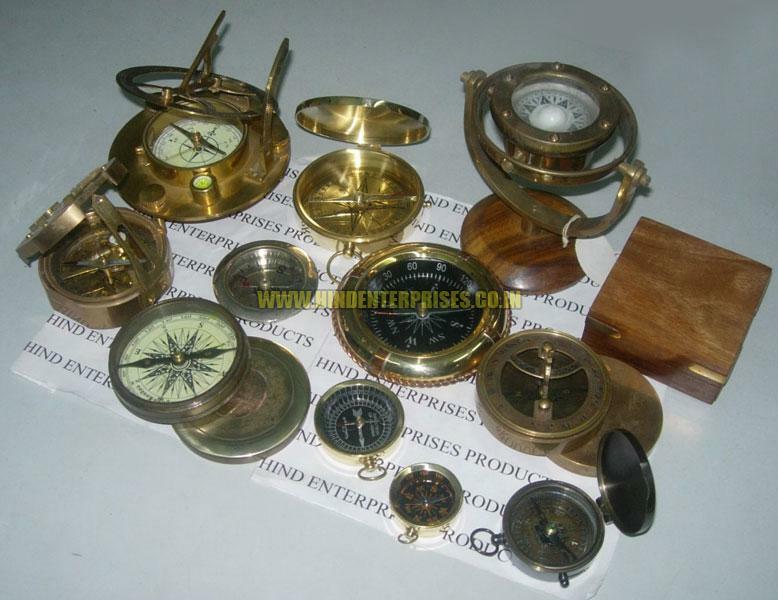 All Brass Nautical Compasses are made from solid brass and are available in highly shiny brass polish or in antique brass finishes. 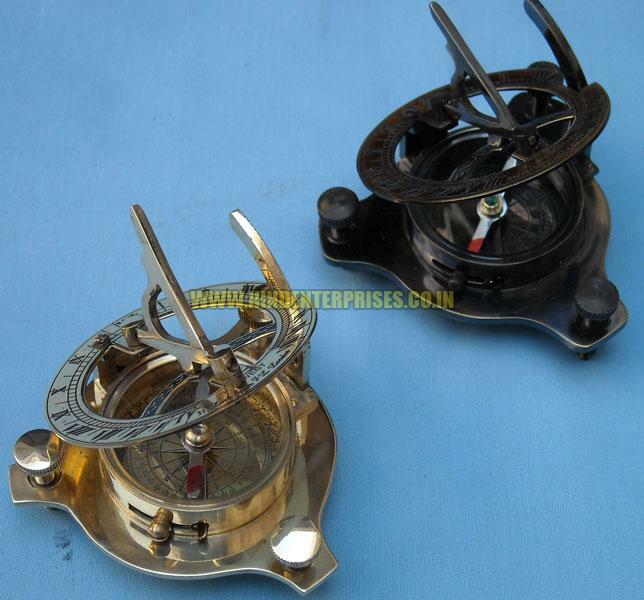 Brass Nautical Compasses, that we offer, are workable but not for professional purposes.